100 Important Current Affairs Topics for UPSC Prelims Exam 2018 | IAS EXAM PORTAL - India's Largest Community for UPSC Exam Aspirants. 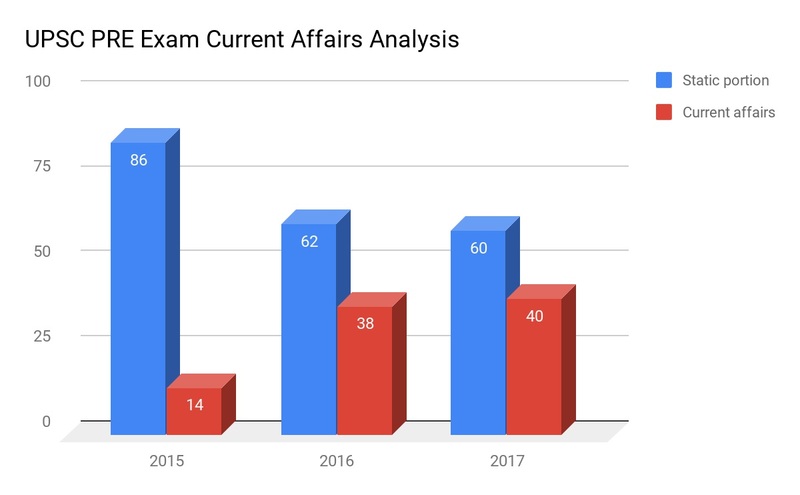 Current affairs forms a very important section in the UPSC prelims examination and it’s weightage is increasing year on year and carry significant weightage. In this article we will see how to cover current affairs and 100 most important topics for 2018 prelims. Read The Hindu daily and make notes of important points, it will help you retain the things better and also will be easy to revision. Follow PIB or read compilation of PIB of any authentic coaching. You can get short to the point monthly compilation of The Hindu, Yojana, Science Reporter, PIB from ‘IASEXAMPORTAL’, which are highly useful. Locate the places, National park, wildlife sanctuary etc which are in news, in Oxford Atlas. From the above table it can be seen that the weightage of current affairs is increasing year on year. ILO conventions on child labour. So, one should not ignore the current affairs and both static and current affairs should be given importance to ensure selection.